How Do You Understand Slot Paylines? Learning how to play slots and how to understand slot paylines couldn’t be simpler. The basic rules of slots do not change much among the various types of slot machine games available today – reel slots, video slots and progressive slots. In all these types of games, the basic objective is to get winning combinations of symbols on the reels, which carry rewards based on the bets placed. There are slot paylines where the symbols should appear for the best results, and potential winnings can be checked on the pay table. In all types of slot games, actual play consists of deciding how many lines to wager on, what coin denomination to use and how many coins one is going to bet, placing bets, and then spinning the reels by clicking on a tab. 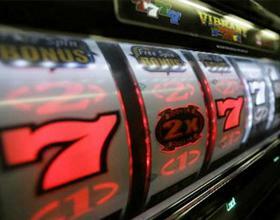 Random number generation determines the outcome of the spin, and if the symbols are line up appropriately on the slot paylines, corresponding rewards are immediately credited to the player. The amount of paylines on a multi payline slot is limited only by the possible number of winning combinations which is in turn limited by the number of reels, so the maximum number of paylines possible on a 3 reel slot is less than the maximum number of paylines possible on a 5 reel slot. Typically the range is anywhere from 2 paylines to 100 paylines; this type of slot machine is hugely popular both in land based and online casinos. However, the most common multi-payline slots are 3, 5, 9, 15, 20 and 25 payline games. So what is a slot payline? Paylines are lines on which the right combination of icons has to appear for a player to win rewards. A payline can be defined as the line that runs through the reels, intersecting with a symbol on each reel. A payline is a sequence of positions on the reels read from left to right. An active payline is one that is wagered upon. When the reels stop spinning the sequence of symbols occupying the positions in the active paylines are compared with the combinations in the payout table. Different slot games have different numbers of slot paylines – when a particular slots game is described, one of the first things mentioned is how many pay lines it has. Pay lines can vary in number from one onwards – most have less than ten, some less than fifty, and a few less than hundred. Early slot machines all had horizontal pay lines but modern slot games can have pay lines that are zig-zag or diagonal as well as horizontal. 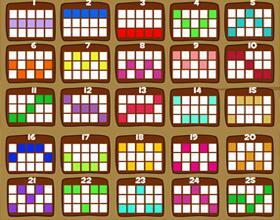 Some games even have combinations of different types of pay lines, such as those with three horizontal pay lines and two diagonal ones. The number of pay lines in a particular slot machine game is related to the number of coins that are accepted. We advise that you read and understand the payout table before you commence in playing any slot game so as to ensure there’s no discrepancies later. Sometimes slot paylines are all over the place and the reading them and understanding the payout can be confusing. You don’t have to play all the slot paylines on the machine if you don’t wish. The more slot playlines you play, the more chances you have to win, though. They do require more of a bet, but they reward well. To select the slot paylines you want to use, use the payline buttons on the game. Each game is different, but the slot payline buttons are never hard to find let alone understand. Don’t let slot paylines confuse you. Once you get the hang of the game you’ll be on a roll.